Another year has passed by and a New Year is on the horizon. For some of you in a different timezone, 2009 is probably already here as I am writing this. If you are groaning ‘oh no, not yet another best of 2008 post!’, my apologies. But, there is a reason there are so many people writing this in their blog. Last day of the year, gives you time to reflect back on how things were and how you’d like to improve in the coming year. Exactly the reason for this post. Instead of picking the posts ‘I‘ think are the best of 2008, I have picked posts ‘you‘ think are the best – by the number of comments. Here comes the winners of each month with the most comments. This would be the time I say THANK YOU to each and every one of you who take a minute out of your life to provide useful commentary or even ask a question or answer a fellow readers question. My posting drastically went down this summer to around a dozen posts a month with my parents visiting me here. I don’t regreat it one bit as we had a blast all summer. You can see the traffic dipping down though but has been improving steadily. The traffic source graph almost tracks the same path with search engines sending about 65% of the traffic, about 25% from referring sites and 10% direct traffic. I welcomed around 177,800 visitors this year that resulted in about a quarter of a million pageviews. And I have gained a lot of loyal readers this year – 897 who subscribe via RSS Feed and countless others who come to the site directly. Plus, I have made 452 friends in Twitter. The numbers are just a reflection of what happened in 2008. It’s not boasting or being humble in false modesty. One of the best decisions I made was to stop showing ads to my regular readers and only to search engine visitors. You might see ads on older posts but the regular readers who are reading the most recent posts shouldn’t see ads at all. I hope you like that. New Look – I am planning to unveil a new look and probably even a contest on my birthday Jan 31. This is not just for the sake of a new look but the theme is to de-clutter and make it easier to find things. Post Regularly – I don’t post for the sake of making so many posts a month but I should make time to post useful things I come across. I have dozens of drafts that I can publish with a little effort. Comment Policy – Having the DoFollow, KeyWordLuv plugin installed means that I get a lot of comments for the sake of link love. I welcome the genuine ones and you know who you are because we converse. But, I need a stricter comment policy to eliminate the fringe ones. That will give me more time to reply than deleting comments. Write on More topics – I have always wanted to diversify my topics to include more of WordPress, Web Development & Linux but haven’t done so in order to keep things focussed on what’s gotten the most response so far – Firefox, Technology, Web Apps, etc. Comment more – With a day job, I find it hard to get the time to comment in all the blogs I read in my feed reader. But, I still do read your blog if I used to comment in yours earlier this year. I should make time though. I don’t have set goals for increasing RSS numbers or traffic. Is that weird? I am going to set my focus on improving the blog with more useful content & improved site experience. I think doing that will automatically bring in the traffic and loyal readers. 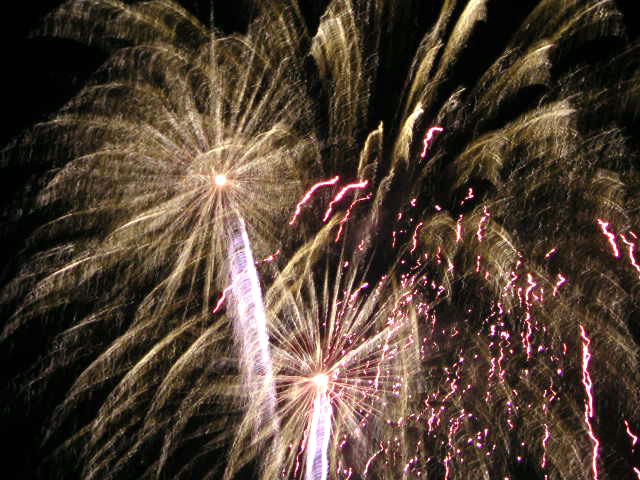 I wish you a wonderful and prosperous New Year – 2009! Happy New Year, all. May 2009 be filled with more great posts. (And, looking at your 2009 plans, it seems that they will be). These are very impressive stats, congratulations on all your success and all the best for the coming year! Sorry had to resubmit comment, because the url was not right in the previous one. These are very impressive stats, congratulations on all your success and all the best for the coming year! Congrats on the awesome stats; a quarter of a million pages views is IMPRESSIVE. I really look forward to seeing the new look. Looks like the chart is progressing pretty well for you. I’m sure you are on the right track doing whatever you are doing right now. Wish you all the best and Happy New Year! That chart shows that your hardwork has been paying off in 08. Keep up the good work and repeat for 09! Thanks everyone for you wishes! 🙂 Happy New Year! Congrats on an impressive traffic chart in ’08. Best wishes for a successful ’09. Interesting to see you have no $$ goals for ’09? Great stats. You should feel real good about what you are doing with this blog as far as building a community and helping others out. I hope you are also making money as that is a big part of it. I have only been subscribing for about a month but I really appreciate what you write. Awesome Kman. It’s been really exciting to watch your blog grow in popularity. It’s awesome how passionate you are about it, and it’s great that you have involved your wife, and brought here along in this journey! Keep it up buddy. Matt Jabss last blog post..Are You Paying Yourself? It looks like you have some great goals, and I know that I have several of the same ones. I can’t wait until I have enough money to update my theme! Good luck in ’09. I just wanted to let you know that your blog was offline for a while yesterday. Were you changing servers? You mentioned above something about a new look coming the end of January and I wasn’t sure if it was related. Anyway, just wanted to let you know. steves last blog post..High School Musical – am I a sell-out? Happy holidays everyone and wish everyone success in 2009. I have set goals for myself this year and already have been working on them. Nice post, i really like to see what people are interested and how a site grows over time. good luck in ’09 and keep it up. You get a lot of traffic from SE and it has been steadily growing throughout the year. You also have awesome amount of RSS subscribers. Good luck for 2009! My favorite are the greasemonkey scripts…love that Firefox plugin. Keep up the great posts in ’09. Great list of posts. I can remember about 6 of them without needing to re-read them – truly great posts. Seems like your blog did fantastically in 2008 and hopefully will do even better in 2009. My New Year’s resolution is to finally finish that post I’ve promised you!